CNN dominated cable news in October, finishing the month as the undisputed leader. With the presidential election coming to a close, CNN finished number one in October in the all-important demo of adults 25-54 in total day and M-Su prime time. This marks the first time in 15 years that CNN was #1 across both dayparts. In Total Day, CNN beat Fox News for the first time in seven years (since Jan. 2009). In prime time (M-Su), CNN was number one among adults 25-54 for the 7th time in the last 14 months (Oct-16, Jul-16, Apr-16, Feb-16, Dec-15, Oct-15 and Sept-15). The last time CNN had this many monthly wins over Fox News in a 14-month period was nearly 15 years ago. And, CNN has now topped MSNBC for 28 straight months in Total Day (25-54 and P2+) and in prime time (25-54), the longest winning streak in eight years. October was also CNN’s most-watched month in eight years (since 2008) in Total Day among adults 25-54 and CNN enjoyed its highest total viewer delivery since September 2005. In prime time, CNN posted its highest adults 25-54 delivery and 2nd highest total viewer delivery since October 2008. The network had impressive growth this month as well, increasing its audience by double to triple digits compared to last year. Of particular note, CNN ranked in the Top Five in ALL OF CABLE in October among total viewers (#3 in Total Day and prime time) and adults 25-54 (#5 in Total Day and #4 in prime time). Several CNN news programs are on a ratings streak this month, beating both Fox News and MSNBC while also posting record deliveries and growth among adults 25-54. Weekday programs ranking #1 are: Early Start, Newsroom with Brooke Baldwin, and Erin Burnett Outfront. Outfront, Anderson Cooper 360 and CNN Tonight with Don Lemon all posted their highest adults 25-54 ratings ever. In fact, these are the best ratings for CNN at 7pm since November 2008, 8pm since October 2008 and at 10pm since March 2011. This is the first time ever that Erin Burnett Outfront has beaten Fox’s On the Record at 7pm. In fact, this is the first time in 15 years that CNN has won the demo during the 7pm time period. CNN has cut the monthly P2+ percent gap with Fox News during the M-F 7pm hour to its smallest in nearly eight years. Also, CNN won the demos at 2pm and 3pm (Newsroom with Brooke Baldwin) for three of the last five months. In addition, CNN’s morning program New Day posted its highest numbers ever and CNN’s early morning news program, Early Start with John Berman and Christine Romans, was number one for the month among adults 25-54. CNN’s weekend news programs were also #1 in the key demo 25-54 and those include State of the Union with Jake Tapper, Fareed Zakaria: GPS, Reliable Sources with Brian Stelter and Smerconish. CNN was also top rated during weekend prime time with Original Series programming led by Anthony Bourdain and Lisa Ling this month. Both of those programs are enjoying their best seasons ever. Early Start with John Berman and Christine Romans (4-6am) ranked #1 in cable news among adults 25-54 (170k, up +124% vs. last year), Fox followed with 131k and MSNBC had 113k. In P2+ the show ranked #2, topping MSNBC, while growing the most in cable news (+101%). New Day (6-9am), which launched in June 2013, is averaging its highest monthly demo 25-54 (212k) and total viewer (652k) performance on record. New Day showed impressive growth this month, increasing +112% among P25-54 and +85% in total viewers. This is also CNN’s best morning performance since March 2011 (among 25-54) and best since Nov. 2008 (P2+). CNN’s dayside programming (9am-4pm) easily beat MSNBC in both the demo 25-54 (261k vs. MSNBC’s 169k) and in total viewers (939k vs. MSNBC’s 783k). CNN is also up vs. last year, increasing +114% among 25-54 and +74% in P2+. CNN Newsroom with Brooke Baldwin was #1 in cable news from 2-4pm, averaging 284k among adults 25-54, up +110% from a year ago. The Baldwin-led afternoon news program was also top rated each hour (2pm and 3pm), Fox ranked second and MSNBC was third. The show was up +71% in total viewers vs. last year and ranked #2 in cable news in P2+, easily topping MSNBC. The Situation Room with Wolf Blitzer (5-7pm) ranked #2 in cable news besting MSNBC in both adults 25-54 (334k vs MSNBC’s 230k) and in total viewers (1.140m vs. MSNBC’s 1.080m). The Blitzer-led show is up +106%/+86% respectively. Erin Burnett Outfront was #1 at 7pm, beating Fox News’ On the Record with Brit Hume (423k vs. FNC’s 408k) among adults 25-54. This is the first time Outfront was #1 in cable news since the show launched in October 2011 and the first time CNN news programming at 7pm was No. 1 in the time period since September 2001. The Burnett-led program has been on a ratings streak this month, topping Fox News for 16 of 25 nights. The show also topped MSNBC’s Hardball with Chris Matthews for 28 straight months among P25-54. Outfront was up triple digits, +138% in P25-54 and +113% in P2+ vs. last year. Anderson Cooper 360 (8pm) ranked a strong #2 at 8pm this month, dominating MSNBC’s All in with Chris Hayes in both the demo (577k vs. MSNBC’s 370k) and among total viewers (1.691m vs. 1.561m). CNN has now topped MSNBC for 28 consecutive months in the demo. AC 360 was up a staggering +173% among adults 25-54, the most in cable news, and +112% among total viewers. CNN programming at 9pm ranked #2 this month (532k) topping MSNBC’s The Rachel Maddow Show (524k) among adults 25-54. 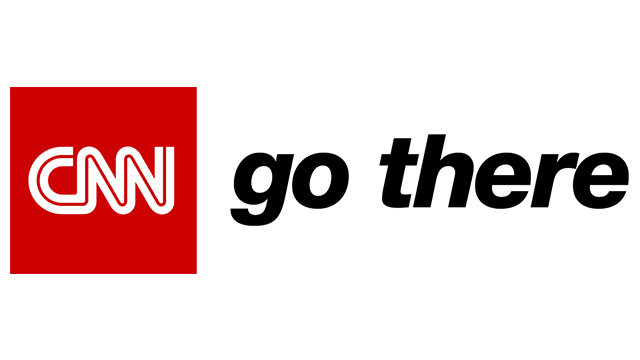 CNN grew +213% among adults 25-54 and +170% in total viewers compared to last year. CNN Tonight with Don Lemon (10pm) is having its highest monthly performance among adults 25-54 and total viewers on record and CNN’s best 10pm performance since March 2011 among 25-54 and best among P2+ since February 2009. In October, CNN Tonight ranked #2 in cable news with 463k, MSNBC’s Last Word followed with 412k in the key demo 25-54. The Lemon-led show was up +219% in 25-54 and +178% in total viewers vs. a year ago. CNN Tonight also easily topped MSNBC’s new program The 11th Hour with Brian Williams (11-11:30pm) since that show debuted on September 6 among adults 25-54 (382k vs. MSNBC’s 312k). New Day Saturday was #1 or #2 among adults 25-54 and #2 among total viewers; growing double or triple digits each hour vs. last year. MSNBC was 3rd or 4th in both demos. Smerconish (9am) easily topped MSNBC, ranking #2 among adults 25-54 and total viewers; growing +146%/+99% respectively vs. last year. At 6pm, Smerconish was #1 in the demo 25-54 (311k), Fox News was second and MSNBC was third. Smerconish was up triple digits at 6pm in both adults 25-54 and total viewers. CNN Newsroom with Fredricka Whitfield was #1 in cable news from 11am-3pm this month in the demo 25-54 and #2 among P2+. The program grew every hour by double to triple digits compared to last year. MSNBC ranked third. CNN Newsroom with Poppy Harlow ranked #1 among adults 25-54 in each hour during the 3-6pm hours, and either #1 or #2 among total viewers. The program was up triple digits each hour vs. a year ago. Inside Politics with John King ranked #2 on Sundays at 8am easily topping MSNBC among adults 25-54 (270k vs. MSNBC’s 115k) and total viewers (902k vs. MSNBC’s 478k). The program was up triple digits (173%) in the demo and double digits in total viewers (+98%) versus a year ago. State of the Union with Jake Tapper was #2 in cable news on Sunday mornings at 9am, increasing +217% among adults 25-54 (333k) and +109% in P2+ (1.047m) vs. last year. At noon, SOTU ranked #1 in cable news in adults 25-54, Fox News placed second and MSNBC was third. The noon edition of SOTU also grew by triple digits, increasing +217% in the demo and +104% in P2+. Fareed Zakaria GPS (10am) ranked #2 in the demo adults 25-54 (299k, +118%) and total viewers (1,135m, up +81%). At 1pm, GPS was #1 among adults 25-54 (255k, up +171%), and ranked #2 in total viewers (1.001m, up +102%). MSNBC ranked third in both demos. Reliable Sources with Brian Stelter (11am) ranked #1 in cable news in the key demo 25-54 with 308k, Fox News’ Media Buzz followed with 305k and MSNBC’s AM Joy was third with 239k. In total viewers, the program ranked #2 with 1.110m easily topping MSNBC’s 878k. RS was also up +170% in the demo 25-54 and +119% in total viewers vs. last year. Anthony Bourdain: Parts Unknown Season 8 to-date (9/25-10/30/16): Tracking at its highest season performance ever among both 25-54 and P2+. The show ranks #1 across cable news in its time period among P25-54, outperforming the combined delivery of Fox News and MSNBC. This is Life with Lisa Ling Season 3 to-date (9/25-10/30/16): Tracking at its highest season performance ever among both P25-54 and P2+. The program is #1 across cable news in its time period among P25-54. Every premiere episode has also outperformed MSNBC in P2+. CNN Films: We Will Rise: Michelle Obama’s Mission to Educate Girls Around the World Premiere (Wed 10/12/16, 9p-10:01p): Of the 23 CNN Films premieres to-date (excluding CNN Films Presents) among Live+SD, ranks #3 in P25-54 (after Blackfish and Steve Jobs: The Man in the Machine) and #1 in P2+ (+9% above Blackfish).